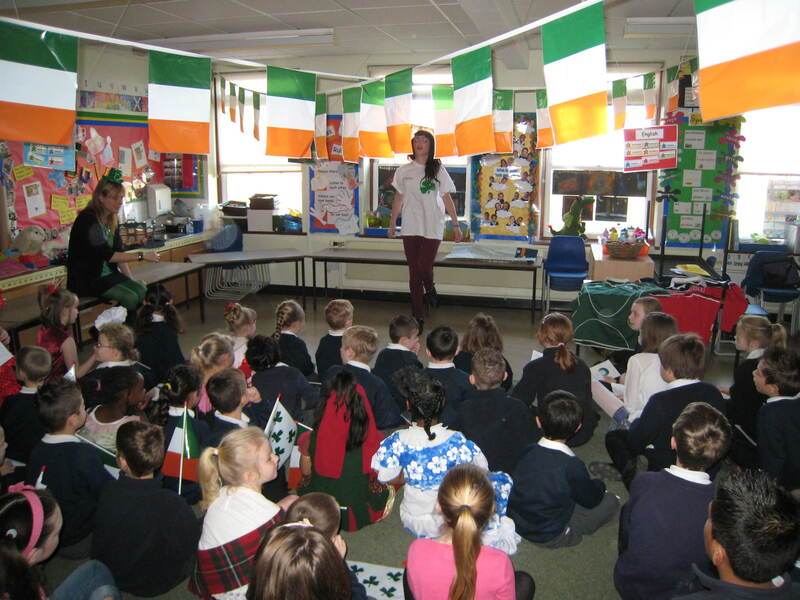 The Crawley Irish community took part in the International Day at Gossops Green Primary School that took place on Thursday 1 March 2012 which was said to be a renounding success by all involved. The International Day was an opportunity for students to understand the different backgrounds and cultures that make up their school and there were representatives from other communities in Crawley also attending. 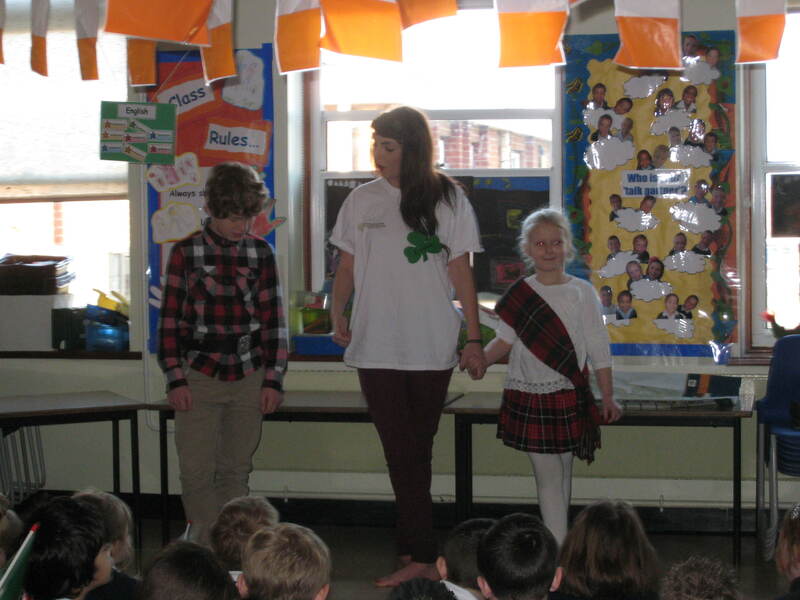 The Irish presentation introduced children to some of the heritage, geography and iconography of Ireland and her people. 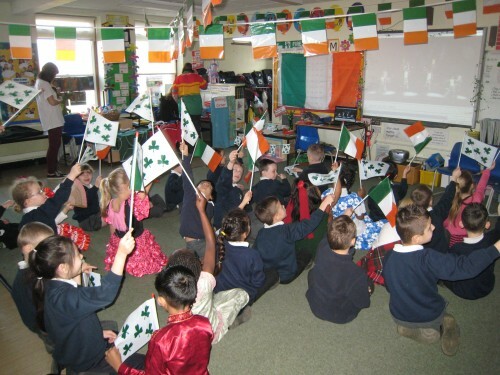 This included leprachauns, harps, sport, music and dance and all of the other things that make up the Irish disapora’s spirit. The CICS held 5 lessons throughout the day that included playground games, colouring, storytelling and even a quiz for ages 5 to 11. Many thanks to the volunteers that took part on the day including Michelle James, Noreen Nolan and Easha Tobin. Ireland came out to be the favourite country to be visited on the day and and many children who didn’t get a chance to visit had heard ‘rumours’ about what the class looked like and the activities involved. 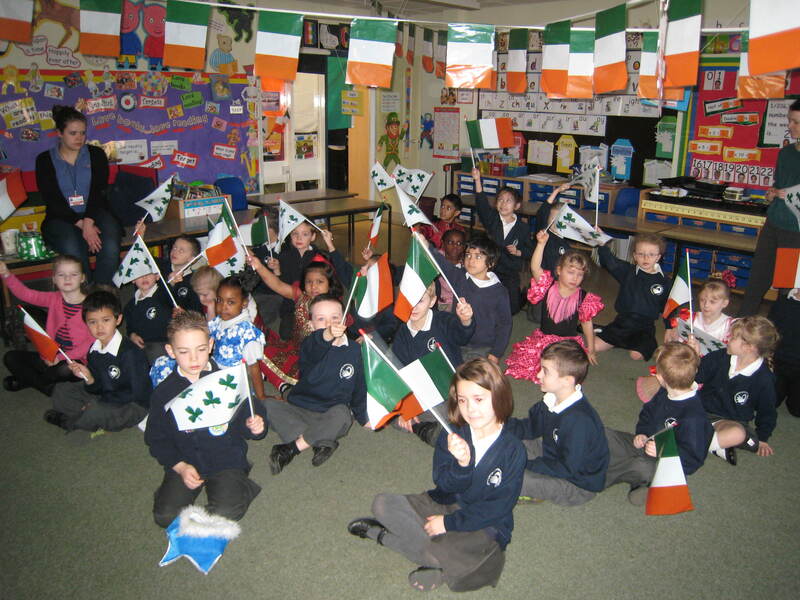 ‘Ireland’ was also evaluated as the best decorated classroom. What do you think?